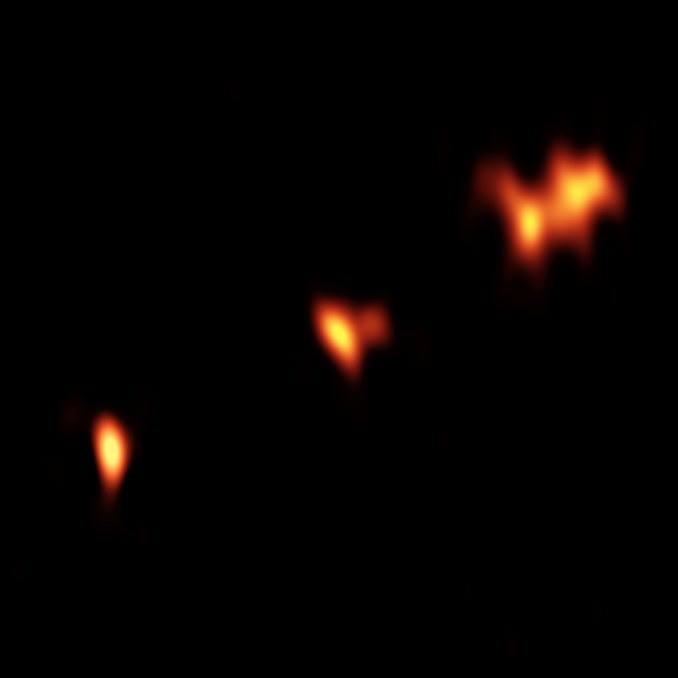 Astronomers using the Very Long Baseline Array (VLBA) radio telescope have captured an image of a powerful radio quasar shining at the dawn of the Universe some 13 billion years ago. Catalogued as PSO J352.4034-15.3373 – P352-15 for short – the quasar is one of only a handful of bright radio sources in the early Universe, giving astronomers a chance to study some of the more enigmatic processes at work in that remote epoch. “There is a dearth of known strong radio emitters from the Universe’s youth, and this is the brightest radio quasar at that epoch by a factor of 10,” said Eduardo Banados of the Carnegie Institution for Science in Pasadena, California. Quasars are thought to be galaxies featuring super-massive black holes in their cores with millions to billions of times the mass of the Sun. 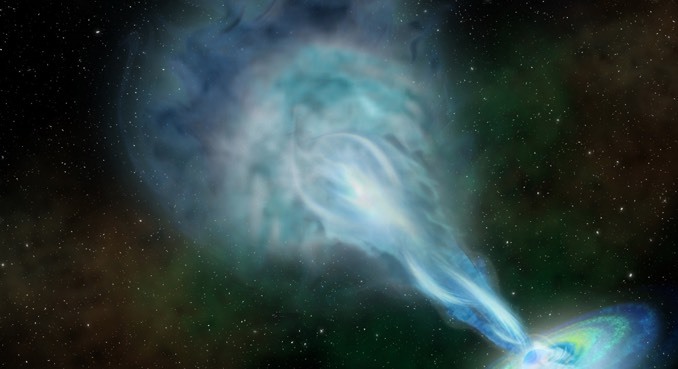 The unimaginable gravity of such black holes pulls in gas and dust, forming a rotating disk spewing jets of energetic particles that rush away at nearly the speed of light. They can be bright emitters of visible light and radio waves, which is the case with P352-15. The VLBA imagery shows P352-15 is split into three major components stretching across 5,000 light years. Two explanations are possible, the astronomers say. The black hole could be in the central component, with two huge jets streaming away in opposite directions. Or, conversely, the black hole could be one of the end components with the other two features part of a single jet. 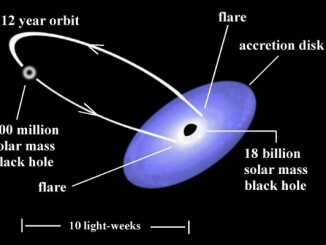 The latter option appears more likely because one of the components, presumably harbouring the black hole, is closest to the visible light location of P352-15. If so, astronomers may be able to measure the expansion of the jet over several years. If the middle object represents the black hole, its small size could indicate it’s very young or embedded in thick gas that is slowing down the jets. 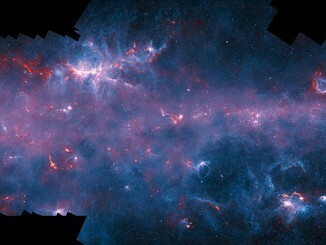 The observations are reported in the Astrophysical Journal. A recent observational campaign involving more than two dozen optical telescopes and NASA’s space-based SWIFT X-ray telescope allowed a team of astronomers to measure very accurately the rotational rate of one of the most massive black holes in the universe. 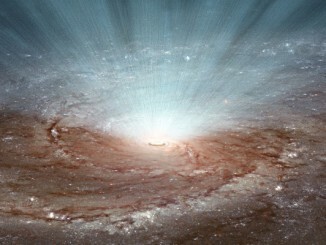 The black hole powers a quasar called OJ 287 which lies about 3.5 billion light-years away from Earth.